The most tried-and-true way to meet your goals? A tailored approach. There’s no time like the present to pursue a stronger, fitter, more energized you. Our results-oriented fitness experts will create a program customized to your body’s exact strengths and vulnerabilities. This one-on-one workout can introduce you to a new program that fosters energy and strength, or help you get more out of your existing workout routine. Getting fit is more fun—and more effective—when you have a partner. Grab a friend or loved one and meet us in the gym. Know your body, improve your wellness. Performed by one of our certified trainers, our advanced technology is used to reveal critical numbers like body fat and lean mass percentages. Leave with a detailed look at your precise body composition, water balance, obesity analysis and segmental lean analysis. See a class that interests you, but prefer to try it solo? 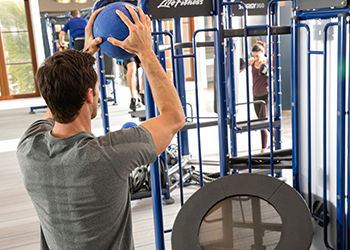 Get highly personalized coaching by taking a private version of any one of our fitness classes. 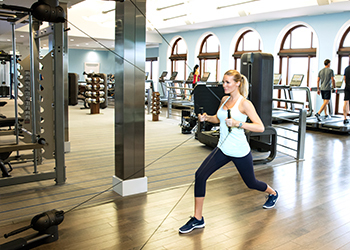 In true Breakers style, our wide range of fitness classes are complimentary to each of our hotel guests. Work with certified instructors and engage in fun, inventive exercises that keep you inspired and deliver serious results. Please note that failure to show or give cancellation notice within 24 hours of your appointment time will result in a $50 fee for reserved services. For your convenience, a 20% service charge is added to the price of all services, covering gratuities for your fitness service provider and attendants. To make a reservation with one of our expert personal trainers, simply call [NAVIS: (877) 724-3983].